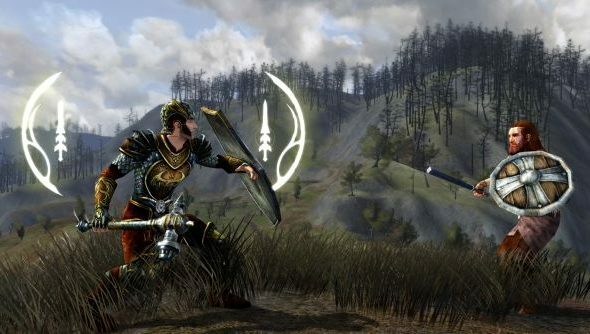 Among the major MMO developers, it was Turbine who first leapt wholeheartedly into free-to-play – and Lord of the Rings Online the game rewarded with swelling player numbers. But that was 2010, and LOTRO continues to age. Its players spread thinner, like butter over too much bread. They’ve looked again to Turbine for help – a handful of new dungeons to rejuvenate Middle-Earth; or failing that, a wide-scale server merge to pull its remaining fellowship closer together for warmth. They’ll get neither. Development at Turbine continues apace – update 12.2 will bring changes to alleviate a skill macroing problem in PvMP, and a Shadows of Angmar region revamp is under consideration for later this year. But LOTRO community manager Rick Heaton told viewers in a recent livestream not to expect any more traditional instances or raids. There are “absolutely no plans” to merge servers, he went on, due to a “fairly significant technical issue” which prevents players transferring between Turbine’s own servers and those of Codemasters, who run the game’s European operations. It’s curious indeed that no Hobbit-related updates are destined for Lord of the Rings Online – given Marvel Heroes’ planned long-term association with the cinema. Do you think it’s time for a tactical rebrand, a la Games Workshop’s LOTR tabletop game? Thanks, VG247 and Contains Moderate Peril.